Article originally published in this website on February 25, 2003. Last update on January 15, 2013. See also the Second Part. The sun is really cold, contrary to what official science says. As actual proof, the outer space exposed to sun rays without any blockage from atmosphere is really extremely cold to approximately 3ºK (-273ºC), water freezes approximately at 4ºC. Why is it not then extremely hot, since when sun is resplendent, in summer for instance, and there are no clouds is hot outdoors? Heat iscaused by a thermal reaction between sun rays and the electromagnetic planetary aura, the Van Allen lines or the morphogenetic fields of matter as taught in ancient arcane wisdom(1) and in the book Telos (2). “Yes, it would be really cold. Temperature measures the energy per “degree of freedom”(i.e., way something can move) of whatever molecules happen to be around. So, it becomes so cold that the molecules stop all together, then this is the “absolute zero”temperature. On the Celsius Temperature Scale (i.e., water freezes at 0, and boils at 100)this takes place at -273ºC. “We usually use the Kelvin temperature scale, where Zero Kelvin is this “absolute zero”temperature —or -273ºC. Water freezes at +273º Kelvin and water boils at +373º Kelvin. Answer by Jonathan Keohane for Ask a High-Energy Astronomer. The sun rays once reaching Earth create heat on matter. Behind a tree, for instance, the temperature is cooler because the sun rays do not directly interact with the morphogenetic fields of the particle matter of our bodies, but through radiation (refraction). On outer space the space station and astronauts exposed to the sun rays experience a temperature of approximately 200oC since there are no clouds that deviate or reflect the sun rays. In the dark side, when Earth is between the astronauts and the sun, the temperature is very cold, as stated above. The absence of other matter makes less ofa refraction possible. Ions and electrons in space are usually intimately mixed, in a “soup” containing equal amounts of positive and negative charges. Such a mixture is known as a plasma (the same term has a different meaning in medicine; (see the history of plasma). In many respects it behaves like a gas, but when electric and magnetic forces are present, additional properties come to light, quite unlike those of ordinary gases. The ionosphere above our heads is a plasma. Unlike air, it conducts electricity, and in fact, the ionosphere in the polar regions carries large electric currents, as is discussed in a later section. The electric conductivity of the ionosphere, unlike that of metals or seawater, is very much influenced by the Earth’s magnetic field. This is a rather special plasma, because the ionosphere also contains a fairly high number of neutral atmospheric molecules, with which the ions and electrons constantly collide. In contrast, collisions are extremely rare in the solar wind. If this were an ordinary gas, or if the Earth lacked a magnetic field, the solar wind would have penetrated all the way to the top of the atmosphere and would then have flowed around the Earth, the way water flows around a rock in a stream. Something like that in fact happens at the planet Venus, which seems to have no magnetic field of its own. At Earth, however, a strong magnetic field confronts the solar wind, forming a much bigger obstacle than the Earth itself. Because the solar wind is a plasma, it is forced to detour around the Earth’s field, creating a large shielded cavity around the Earth —the magnetosphere. The explanation of space phenomena thus requires a good understanding of plasma physics. Unfortunately, no laboratory can duplicate the large dimensions and the very low particle collision rates found in space plasmas. The behavior of such plasmas can be sometimes simulated by computers, but ultimately, to figure what actually happens, one needs to send instruments into space and study their observations. The obvious next question is: If space is cold, how do then scientists measure the temperature of the sun? Scientists measure the temperature on the sun by examining its color. Just like a hot iron bar changes from red to “white” hot as the bar heats up. To me this is the same thing as concluding thatthe sun rotates around the Earth because it seems to rise in the East and set in the West, or that the Earth is flat because the way it looks from thesurface. Because iron changes color as is heated, and because we see those heated-iron-colors in the sun, the conclusion is that the sun behaves likeiron and is hot and its emitting colors are indicative of the temperature at its various points. Is it not still thinking with the “flat-Earth mentality”? Better would be to send a space probe to the sun and measure its temperature. The dilemma is how to measure temperature without affecting the measure by the reaction of the instrument with the sun rays. But, obviously science already has made its mind and it would seem silly tochallenge the idea of a hot sun. The high photonic concentration emitted as light makes believe that this light comes from combustion when in reality comes from atomic excitation in the plasma. In a sense it is understandable to conclude that the Sun is hot since is the source of energy for our planet and when rises in the East the temperature of the Earth surface exposed to the Sun increases as a result of receiving the sun rays and cools off as the sun sets in theWest. Also if we are close to a furnace we feel the heat and the colors of fire look like the colors of the sun. This drives to the obvious and logical conclusion that the sun is hot like a caldera. Ironically, by thinking in this mode, by empirical observation, people of the past believed that Earth was flator created the concept of a geocentric universe. But what looks obvious may not be so. During formation of suns and galaxies changes in pressure create temperature changes that may soar to super-hot following thermodynamic laws, but in a steady state as in a mature sun, the atoms in a state of plasma are actually cool. Plasma is cool, not hot. The photonic effect of change of state from excited atoms to relaxed atoms in plasma causes the release of photons, which are the solarlight we see. Currently science is not in technological conditions to prove this fact. 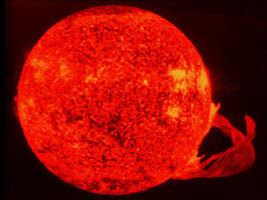 Sun is formed by plasma of atoms of hydrogen, helium, and others. But the sun is hollow and the layer of gases is not deep enough as to produce the temperatures of millions of degrees produced by the weight of atoms compacting themselves and generating high temperatures by thermodynamic laws. Pressure generates temperature). The energy transfer is produced by waves of thermal radiation as in combustion or by electromagnetic waves (“cold”) as in radiofrequency. The sun obviously would destroy a satellite that gets too close to its surface not because ofthe heat but because of the high radiation of waves (gamma, alpha, cosmic, ultraviolet, visible, IR rays, etc.). A person should not put his/her hand in a plasma of gases not because it may burn but because the high radiation may destroy his/her hand. The interaction between the morphogenetic fields of the Earth and of any celestial body and also of the matter of animate and inanimate beings(that it is also formed by morphogenetic fields)and the solar radiations is responsible for the heat. Accurately speaking the sun is neither hot nor cold in its steady state since it is plasma and its radiations are neither cold nor hot. The temperature of this plasma is affected by thermodynamic laws. But comparatively speaking to the millions of degrees attributed to its surface it is actually cold, not freezing cold though. I love science and technology, but what I dislike is the cocky position of established “official” science, that buries its head in the sand whenconfronted with something they cannot explain. Have you seen a scientific work and position on the Crop Circles of England and around the world? Solution tothe problem: If can’t explain it, ignore it. 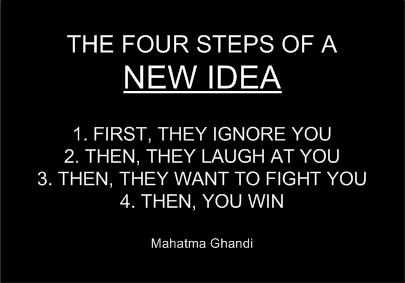 And if a colleague tries to explain it or makes a serious study of it, then follow”The Four Steps of a New Idea” described by Mahatma Gandhi (see themin Small Discourses, Series I, at: https://www.luisprada.com/series_i.htm ). From the Book “Secret of the Andes” by Brother Phillip (George Hunt Williamson), Chapter “Transcript of the Hierarchy”, Archangel Michael Message, pages 123 and 124. Michael and his angels refers to the inhabitants of the worlds beneath the corona of the Sun. What is the nature of the Sun? It is not, of course, cold in the sense of degrees, but is not a flaming body. What is beneath the Solar corona which no man has seen? What do you think is its nature? It is a cool body. What is beneath it? Planets. Everything is duplicated in the Father’s realm. Study the construction of the atom. There are as many electrons as protons in each. If you have twelve planets without, the Sun is the nucleus; twelve planets are the electrons and within the nucleus are the protons. Twelve neutrons. What are they—speaking of the System, that is? The twelve bodies beneath the surface of the corona: The Sun is composed of twelve bodies, and their revolutions bring about the strange eleven-year Sun-spot cycle. But the inhabitants —because there are inhabitants upon the Sun— are different from those who inhabit worlds. I could not begin to explain life as it exists there. But they are worlds. Life does not exists in flaming gas. These beings are the angels, so-called. Michael and his legions, —the archangels, —are all sun dwellers. Why are there only seven archangels? Because there were only seven planets of the ancients. Because they did not have the complete picture this did not mean there were not more. The real ancients knew there were more. Hence the twelve astrological signs, as also the twelve archangels. The following contribution to this article “The Sun Is Cold” was written by Victor Hugo Ayala-Cañedo, mail_victor@mailbanamex.com. Original in Spanish, translation to English by Luis Prada. The nature of the universe is, at this point of the scientific material progress, impossible to negate: it is electromagnetic. Magnetism is in each one of, let’s say, corpuscles of the universe, because in all where there is an electric charge, positive or negative, by necessity it is that also there is a magnetic field and another electrostatic, thus the referred electromagnetic composition. If each portion of plasma, gases, materials, asteroids, satellites, planets, and in short, each luminary we see in the Universe, is formed of these corpuscles, and these, joined, augment their primitive properties and transfer them to their composites, it is not to be surprised that in these ones the charges are seen appearing, the electrostatic and the electromagnetic fields, in such a way that if it were the case of constructing a mathematical model of the universe and its components, it would be enough to use coils, capacitors, wires and a source of energy. On the other hand, the material most related to magnetism is iron and also is one of the most abundant metals in the earth’s core, let’s say, in her heart and her blood, as it is also within the human body in the form of red corpuscles which color is due precisely to this metal. We also observe that the legendary practice of the use of magnetism to penetrate the minds of others, with which it is achieved the magnetic imposition and this reveals that our material and spiritual composition is of the same origin: Magnetism. Doesn’t it happen also with the molecular composition of matter? This, finally, puts us on the path of admitting that only a substance exists, and that this one is the magnetism, which origin must be a source so infinitely powerful, but so infinitely sublime as to make itself present in all the infinite universe, so weak as the charge of an electron, but so infinitely majestic as the shine of the worlds we see in the universe and even more, that our eyes cannot reach to see. Well then, returning to the subject, the Heat of the Sun, as we are both agreed, is not a direct effect as the produced by a combustion, as so magisterially you have exposed and developed it. This same idea I have had since a child and finally I see that a person in this world has the same arguments that I have and that causes me great joy, as to scientifically glimpse that our Father, the Sun, be an inhabited world, and that the electromagnetic vibrations we receive from them, be not other thing more but the good desire of its inhabitants, of higher spiritual progress than ours, the degree of embracing so much space in all their system, that we do not lack in life the energy over us and on the other planets to make sprout all forms of life that depend on that. I think astronomers hide from us a very valuable material in this regard, since I do not consider there exists so much obstinacy as to continue looking for the sun in its reflection on the water. I invite you to read in the “Library”; (“Biblioteca”) of the School I belong to, the works in it published, where you will find a rational study of the natural causes that move and give origin to universal life http://emedelacu.webcindario.com/ (Spanish only). 1. The Rosicrucian Order,AMORC, that is based on Ancient Wisdom, teaches that the sun’s rays are neither hot nor cold and that it is during the interaction of the rays with a material objectthat heat is produced. Also that the sun’s rays mixed with the magnetismof our Earth produce heat around us. This information was extracted by theauthor from a Rosicrucian monographs of a higher degree. This update was published in this website on January 15, 2013. Brother Veritus’ Website (BVW) is ametaphysical and New Age website that is part of alternate media. Some of the information presented in this website goes in direct opposition to what official public-domain science approves and teaches. It also presents information that is not in line with the officially established dogma of established religions. Besides metaphysical information, this website presents messages given by the Galactic Federation for the awakening of humanity. Our main reference book for Astrophysics and spiritual science is the Book of Urantia. Disseminate this information is part of our mission and the reason why this website was created. Official science, which is fundamentalist, a religion and carries dogma, does not approve nor endorse most of the information we carry in this website. See Rupert Sheldrake’s 10 Dogmas of Science that Stop Its Evolution and his book Science Set Free. 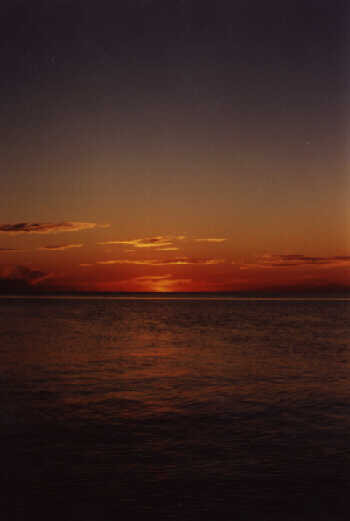 The First Part of the Sun Is Cold was written by me and the Second Part was written by Dr. George Hunt Williamson, also known as Brother Phillips, who during most of his life was a researcher into the esoteric, mystical and metaphysical fields, and who wrote several books on these subjects. Both articles are also based upon ancient mystical tradition, which in part is the base of the teachings of this website. If you disagree with the information of this website —beyond some reasonable and sound skepticism— and try to convince us what we publish here is disinformation and, as you said about the article in question, it has “terrible arguments”, you waste your time since neither this forum nor the main website BVW were created to convince anybody. They both are means to carry information. Each one of the readers should use discernment and take what resonates as true within. We cannot claim everything of this website is true since is a compilation from many authors and sometimes people make mistakes as in erroneous conclusions, or are ignorant of facts, but we strive the best to publish true information. Some of the principles on which is based this article The Sun Is Cold, official public science is not in a technical position to prove or disprove since science deals with physical matter of 3rd dimension and the star matter goes from 3rd dimension into higher dimensions since it was made up initially of planetary dark matter which later reached Ascension to higher frequencies or dimensional levels. Scientific instruments cannot measure beyond the ultraviolet light radiation and lower electromagnetic field spectrum. Possibly the secret government astrophysical science can prove me right but their science, highly advanced, is classified and therefore out of public domain and reach. With the secret science of classified and compartmentalized projects man has gone to the Moon, Mars, other planets of the solar system and a third planet of the Alpha Centauri solar system (Arthur Newman interviewed by Project Camelot). But since NASA is a channel of disinformation, it has the official open Apollo missions to divert attention and as a cover up for their military secret missions of colonization of space. The sun is a star and is also a portal for higher frequency energies coming from Arcturus, the Great Central Sun of the Milky Way galaxy, from the central sun of the Pleiades, Alcyone, and other waves of energy which are reaching Earth and producing life changes. This cosmic radiation, such as tachyons, as well as sun light or sun rays and Coronal Mass Ejections (CMEs) are all coming to the planets of the solar system, some cause more heat on the planets, some other cosmic energies are not physically perceived at all but produce DNA changes, so called “mutations”. The CMEs and sun rays do not increase the heat due to the heat transfer phenomenon but through affecting morphogenetic fields and introducing more energy to all animate and inanimate life through the many different wavelength frequencies they are carriers of. As matter is denser, more excitation is caused by the photons and more heat is generated as a result. CMEs are being ejected violently from the sun surface, some return to the sun, others go to outer space, reach the planets of the solar system and do not return. Astrophysical science does not know really how sun plasma behaves except by its emissions reaching Earth. Astrophysicists have not collected plasma near a star or at a star or probe it on the star surface as the Galactic Federation starships who control CMEs do. The nature of solar plasma is described in an insert quote given in my article. Our scientific instruments are of 3rd dimensional matter and can be destroyed by sun plasma if too close to the sun. Starships of the Galactic Federation on the contrary can land on the sun, and be stationary inside the solar corona, or take plasmid energy from the sun as using a suction hose, because their physical composition is of higher frequency which by its properties is less affected by the plasma of the sun. There are photographs and videos of NASA that show these ships near the sun, some are published in this website. Some of these ships are motherships as big as Jupiter or bigger with circular shape or cigar-type shape, and have millions of star people living in them. All planets and all stars, such as is our sun, are hollow. They have life on the surface and inside, except planets in a state of formation which cannot support any type of life. Planets have soul and these planetary beings have a mission and purpose. Earth is hollow too and inside lives a civilization called Agharta. We have been fooled by the Illuminati with an academic model of solid Earth that is wrong and they know it and did it on purpose. Suns, the stars of the galaxies, exist in more than a thousand states of development, and our sun has passed through many stages. Some are blazing suns who produce light and excessive heat not appropriate to sustain life, some others are stable and can support life in the planets of their solar systems as our sun, and others are dying and produce light but not heat, their energy is exhausted. What we refer here to is our sun in its present state. Our sun has likewise life since is another planet but of higher vibration. The life on the sun is of an angelic race. There are planets inside the sun’s auric field. Sir William Herschel said so. You said that he made “lots of mistakes” but what you said here were mistakes, they are not. Mars is almost identical to Earth, there is a colony of the secret government living on Mars with military personnel, a list of these “non-terrestrial” officers was discovered by the hacker Gary McKinnon from England who was able to hack a Pentagon server and a NASA server. The atmosphere of Mars also is very similar to the atmosphere of Earth as in oxygen content, temperatures quite benevolent and the Martian planet is not red, it has forests of pine trees, water in running rivers and lakes, blue skies, land animals and birds, etc. The photographs of a red planet have been digitally manipulated or taken through filters. We cover all this in detail in this website. We can send a probe to the sun cancelling the centrifugal force of the probe caused by Earth rotational velocity, that is not a problem, but as it gets closer and closer to the sun beyond a permissible distance it would be destroyed or burned because our instruments are of matter of Earth which is too dense to withstand the higher frequencies of the plasmid energy of the sun, which manifest on 3D matter as heat, as explained here. Crop circles are designed and physically made by the Galactic Federation, most of them are extremely complex and very elaborated based on sacred geometry and cannot be made overnight. We have ample information on this subject in this forum of BVW with photographs and videos. You need to research more on these subjects with open mind. Take into account that “common sense” —which is the main base of your arguments here— is not always right and can play you tricks as it has done to humanity when she believed the Earth was flat. Lack of true knowledge is part of the problem. Physical senses can all be fooled big time. The mind can likewise be tricked and programmed to believe the New World Order dark agenda. I recommend you read this website, specially this forum and with humble spirit look for answers within, without preconceived ideas, with an empty mind ready to be filled with the Truth of God. God Bless You and thank you for contacting me. You must know about the missing solar neutrinos. Why aren’t you mentioning that? We know if nuclear fusion is occurring at the center of the sun, we expect trillions of neutrinos would be flying through the Earth a second. Special equipment was made to detect these neutrinos, but only a few were found. I suppose that backs up the electric sun theory. I never mentioned nuclear fusion at the center of the sun. Helmholtz’s theory is just that, a theory. We live in Theoryland, we don’t need more Illuminati fake-theories, we need facts. That theory sounds absurd. ET spaceships go in and around the sun with ships that can be photographed by Soho and are in videos. They don’t burst into scorching flames. Those are facts hid by NASA-fake.